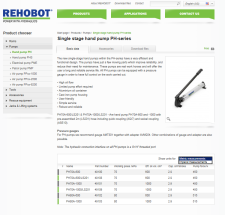 Thanks to REHOBOT”s expansion in the US are we launching the ability to change between the Metric & Imperial system on all measurements on the website! By clicking on “Metric measurements” will all product data be shown according to the meteric system. When “Imperial measurements” are choosen will the measurements appear in accordance with US standards.